Finding the perfect gift for Valentines Day can be a difficult task. We’ve selected our top picks to help you out when buying for a loved one or for the one you love most of all: yourself! Get the ultimate rock n roll staple gift of a leather jacket. The Defiance Leather Jacket is a highly customized piece with angled pockets and all over perforated design. The Elford is a slim fit shirt with all over micro dot design- this classic button down shirt is ideal for a smart Valentines date. Wrap up with this soft Pretty Green logo scarf. 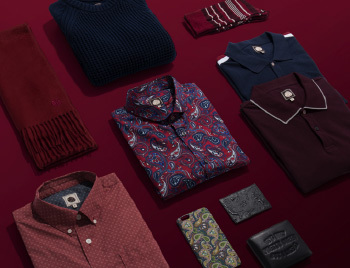 Make a good first impression with the Sefton Paisley shirt. 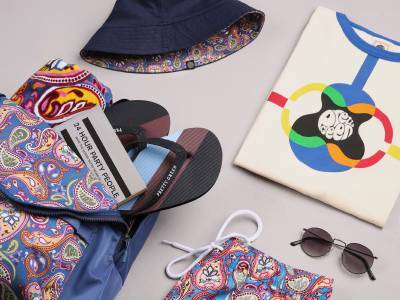 An updated version of the classic Pretty Green paisley available in Navy and Red colourways. Our Tilby Moon Polo is a best selling piece from the new season and the perfect gift for Valentines Day, drawing inspiration from classic mod styles. The ‘Only Pretty Green But I Like It’ wallet is a thoughtful gift idea, each wallet comes with an individual Pretty Green branded plectrum chosen at random. 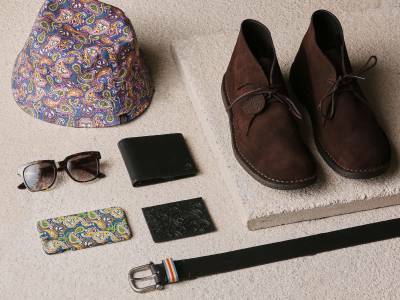 This wallet is crafted from a genuine smooth leather with paisley trim detail.